Welcome to Dhanagiri HomeStay.It gives us immense pleasure to welcome you & family to Dhanagiri Home Stay - Spice up your senses. Dhanagiri HomeStay offers to you your dream vacation in God’s own country Kerala! Leave all the worries to us...Dhanagiri, a company on the growth trail in the travel and tourism sector in Kerala leverages on 25 Years of experience..
Banasura Sagar dam which has one kilometer long mud structure. It is the largest earthen dam in India and the second largest in Asia. 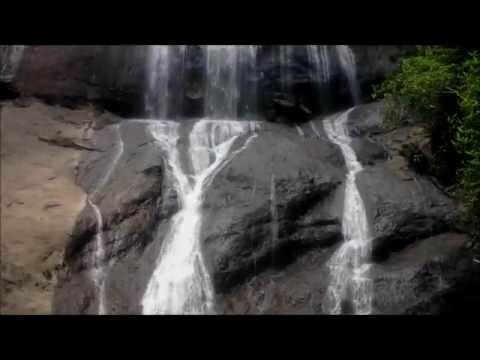 Sentinel Rock falls in Wayanad district, popularly known as Soochipara waterfall has got the plunge and the spray to cool the ambience. “Awesome place to relax in the lap of nature” A very beautiful place with nature\'s rawness, with helpful, friendly and skilled staff,Right from the booking to departure excellent care taken by Mr.Anand To mention specially about the food Tasty kerela cusine home made Kids enjoyed a lot Will definitely visit again Felt like home away from home. Hats off to Mr.Anand Great value for money. An amazing place to hangout with friends and for family get-together. Hospitality was awesome. Cottages were well maintained and clean. Mr. Anand was very friendly and helpful and also his crew. Food was really excellent. My Kudos to Mr.Anand and his team. Hope will visit the property again in future. I recommend this place for anyone. Value for Money. “Dhanagiri makes a holiday perfect!” My family stayed at Dhanagiri during sep\'14 end for 4 days. It was a great experience there. A feel at home is the highlight. (including food)Excellent guest service. Value for money. Our appreciation to the staff there. Food was so good to the extent that we couldn\'t stop eating!!!! !